What does the fall of LTTE mean to India? Sri Lankan military forces took control of LTTE‘s last bastion, Mullaittivu, last week. This, along with the capture of Kilinochchi on January 2, signals the beginning of the end of Tamil Eelam‘s fight for a sovereign socialist Tamil state in the north and east of Sri Lanka, lasting nearly three decades. The war to de-establish LTTE has cost a lot of lives of rebel tigers and that of Sri Lankan military, apart from that many hapless civilians. 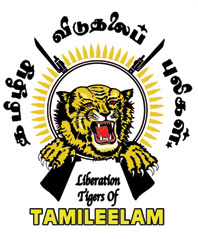 Many of the Tamil Tigers have laid their lives for the liberation cause, and many have fled from their territories. Velupillai Prabhakaran, supremo of LTTE, also seems to have slipped from the Sri Lankan forces. He could have escaped from the island nation to anywhere in the Indian Ocean. The search for Prabhakaran continues, and no one knows his whereabouts. What does this mean to India? Indian government is looking to get Prabhakaran, when captured, to India for a trial for the assassination of Rajiv Gandhi. Indian government has also made it clear that they show no sympathy to LTTE, even as Tamil Nadu’s Chief Minister Karunanidhi has appealed to the Indian government to persuade Sri Lankan government for a ceasefire. The tough stand of Indian government against LTTE could worsen the terror situation that India is already facing. India, until now, was mostly facing terrorists originating from North-West neighbor namely Pakistan. But now things could change. Al-Qaeda, Lashkar-e-Toiba (LeT) and many other extremist organization have enough wealth to support terror activities. Also, there is speculation about the aid given by the US to Pakistan to fight terrorists being used to fund terrorists against India. There was news about Somali Pirates being used by Islamic terrorists originating from Pakistan to distract Indian Navy prior to the Mumbai attack on 26th November. Money deprived rebel organization, LTTE, could now become the ally of rich Islamic terrorist organizations. Al-Qaeda, and LeT with support from ISI could now use LTTE for terrorist activities in India. The poverty stricken, ill fated Tamils from Northern Sri Lanka can easily be manipulated and lured by money to act in terms of Islamic terror organizations. Infiltration of terrorists to India, which until now was happening mostly from Northern (Pakistan, PoK) and Eastern (Bangladesh) sides could now happen from Southern side. The access to Southern India to Islamic terrorists would become easier with the support of LTTE. There possibly is support for LTTE from few Tamils in Tamil Nadu (a case of desecration of Rajiv Gandhi’s statue has been reported, and also keep in mind that Rajiv Gandhi was assassinated in Sriperumbudur). This could prove fatal if LTTE and Islamic terror organizations shake hands. This access to Southern states could be used to transport explosives and other ammunition required for terror activities in South India. Prime targets could be Chennai and Bangalore, which until now had escaped from major attacks by Islamic terrorists probably because of the distance. The fall of LTTE might prove fatal to India if the situation is not handled properly by the Indian government. I am not supporting LTTE, neither am asking Indian government to support. I just want the Indian government act in time to get the Navy patrol Indian ocean efficiently and check the infiltration of refugees and tamil tigers, and of course, to push Pakistan to eliminate terror organizations in its soil. Watch out my flickr photostream for more images. Chitra Sante is an ‘Art for All’ event organized by Karnataka Chitrakala Parishath. The event will be on Kumara Krupa Road (near Chief Minister’s house), where artists from all over India showcase their art works. The event will display affordable art works of all kinds. This annual event happens every year on last Sunday of the year. But this year it is on 25th January 2009 (coming Sunday). Along with a few guys from a flickr group, BWS, i will be showcasing few of my photographs at this event. This is the first time they are allowing photographs as a part of this event. If you are in Bangalore this Sunday, do drop in between 9am to 7pm. Hoping for another Sunday fun, after Bird race last weekend. The post event meet of Bangalore Bird Race 2009 personally, for me, was the best place, where i spotted some really rare species. I was overwhelmed to see and meet some great naturalists, and bird watchers like S Karthikeyan and Deepa Mohan, whom i had known only through net, and some of the best wildlife photographers from Bangalore like Sudhir Shivram and Kalyan Varma, also known only through net. 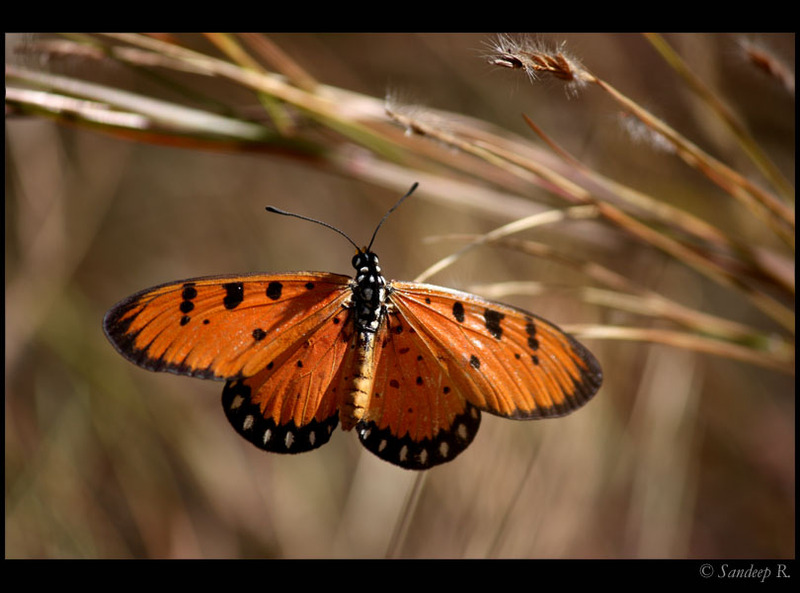 I had been ogling at the photographs Sudhir Shivram and Kalyan Varma produce for long time before i started clicking photographs, and i continue to do so even now. These are the people who have inspired me to sustain and improve hobbies like bird watching and photography. It’s hard to describe the joy i had. It was good to associate face to people i have known through the Internet and admired their work for long. This post is dedicated to these wonderful people. The day of bird race started pretty early. I managed to catch only 2-3 hours of sleep after a hectic Saturday (more about it later), but I still left my home by 4:55am, picked Pandith, Rahul, a young lad who joined our team since his earlier teammates were not willing to bird whole day, and Deepak. Deepak, Pandith and I had planned, on Saturday evening, to cover South Bangalore starting from Bangalore University campus to Bannerghatta National Park covering Byramangala Lake and Valley School and few other water bodies on Kanakapura road. We reached Bangalore university before the day break, and were waiting for a good 20-25min for the sun to come out, after walking around to see if we could catch any Owls, but no such luck. University Campus provided good sightings of common birds like Drongos, Flowerpeckers, Babblers, Doves, Parakeets, and Sunbirds. I also spotted 2-3 Peafowls which disappeared just as i alerted my teammates. By the time we moved on from there, it was 7:15am. We had spend half an hour more than we had planned. On the way to Byramangala lake, we stopped at a field where we sighted lots of munias, spotted doves, drongos and Indian Silverbills.ext stop, Byramangala lake. Reached this place, after missing a turn and coming back, by about 8:15pm. Many sandpipers were sighted, and also few Red Wattled Lapwings. We also saw a Spot billed Pelican, Black headed Ibis, Grey Wagtail, Ashy Prinia and a Blue rock trush here. Left Byramangala lake only by 9am. 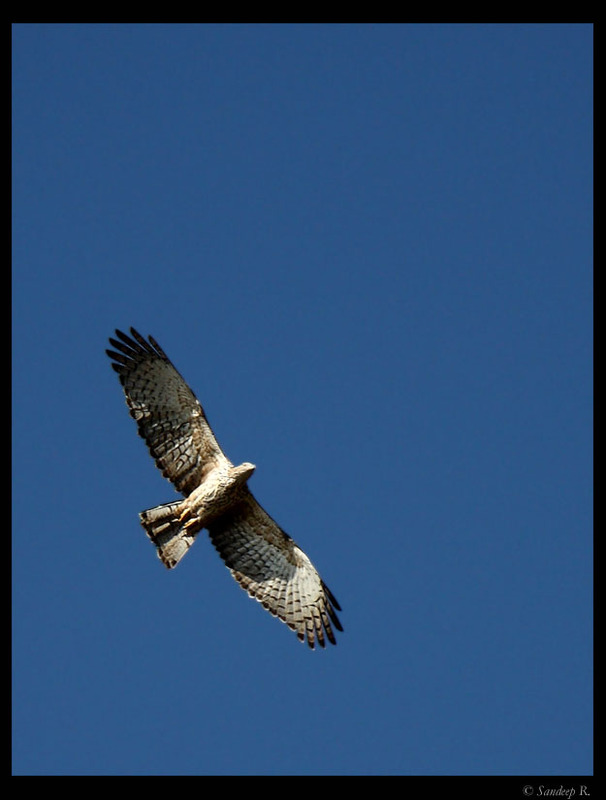 Our plan to reach Valley school by 8:30am was already slipping by a good 1hour, but on the way we sighted many raptors including a Shikra, and Oriental Honey Buzzard. Valley school is an incredible place. 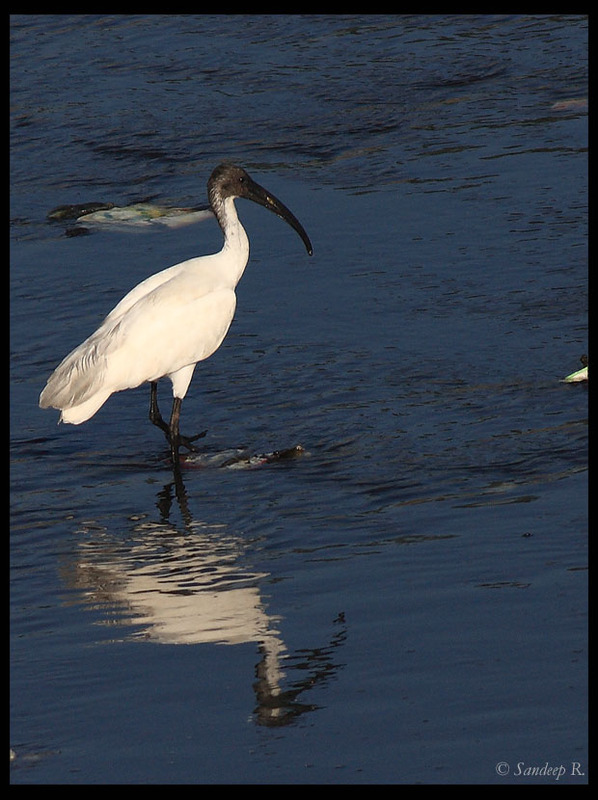 A heaven for bird watcher in Bangalore. The number of species count was about 35 when we reached Valley school by 10:20am. We still had missed common birds like Laughing dove, Indian Roller and White Throated Kingfisher. 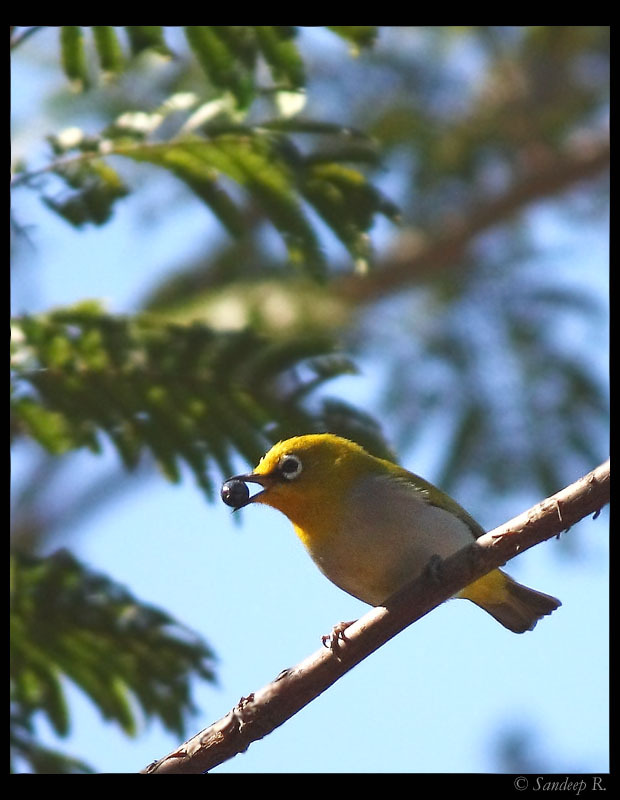 Just at the entrance we spotted a bunch of Oriental White Eye. Parked the car and started walking inside the Valley school campus. We spotted many birds within an hour. 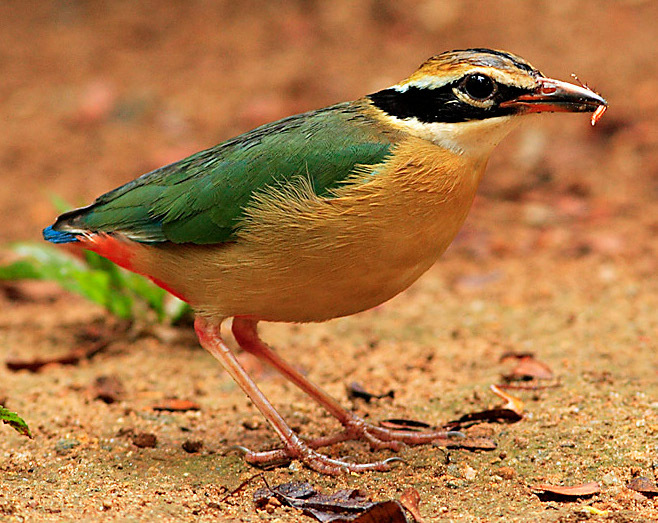 Common bird like Coppersimth Barbetts, White cheeked barbett, Greater Coucal, Green Bee Eater, Oriental Magpie Robin, Bushchat, and Indian Robin were spotted readily. 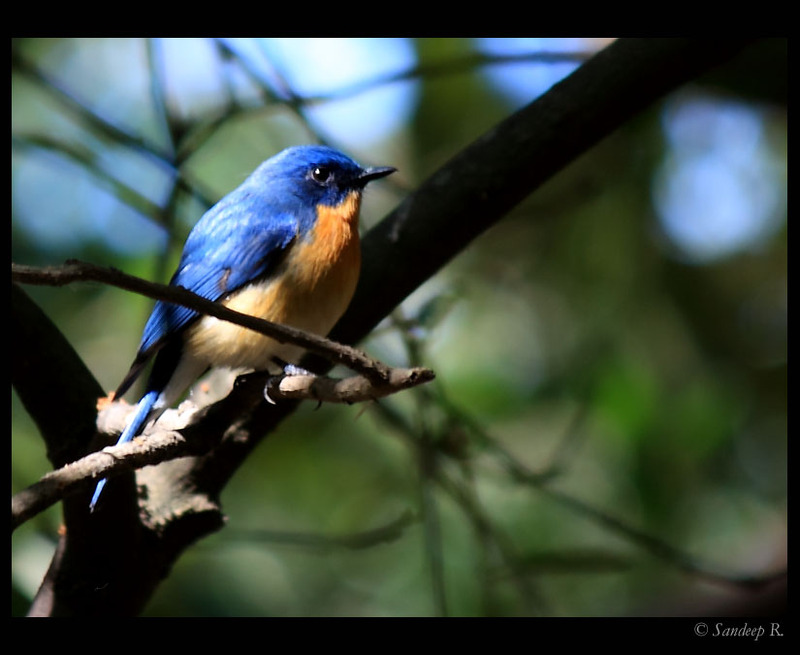 Also, we spotted Tickell’s Blue Flycatcher, Eurasian Golden Oriole, Common Iora, Kestral, Puff-throated Babbler, White-throated Fantail and White-Browed Fantail. We still had not spotted any Kingfishers, and were at a pond/creek. 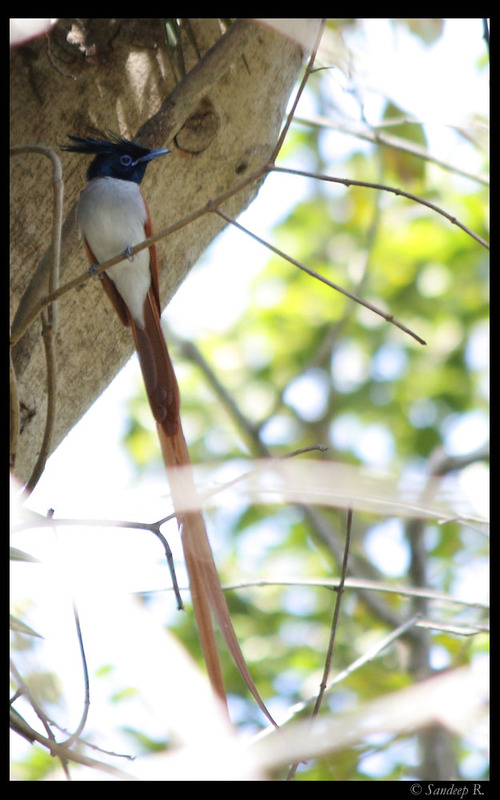 The incredibly beautiful Asian Paradise Flycatcher made itself visible, and i could also manage to get a decent shot of this beauty. We then rested for sometime there, and a Kingfisher came for an early lunch. 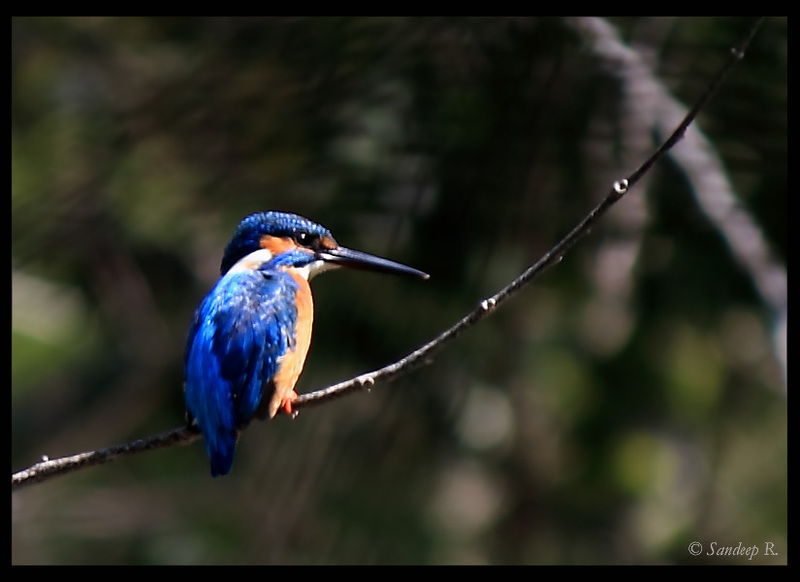 Was this a Blue-eared Kingfisher or Small Blue Kingfisher (AKA Common Kingfisher)? Rahul was excited and was saying (hoping as well) it was blue eared. I took a good shot, confirming it to be just the Common Kingfisher, and not its the uncommon counterpart. Deepak, meanwhile, had spotted some bird which he said had features similar to the rare White-Rumped Shama, but couldn’t confirm for sure. We spotted couple of more birds which we couldn’t confirm the identity, a Treepie and a Raptor. Our other teammate, Sri Ram, had not joined till now and we had asked him to come to Valley School directly, but he ended up 15km further to some other place. By 12:30pm we left valley school and were waiting for Sri Ram to join us. We wasted 45 minutes in this. Left towards BNP by 1:30pm. We had signed about 65 species by then, and were hoping to add good number at BNP. The road to Bannerghatta from Kanakapura road is pathetic. Pathetic is an understatement. In fact for a majority of the distance, there is no road, but a way where road is to be laid. I drove my Swift on ditches, and potholes infested jelly stones laid ‘road’ with 5 people and some luggage. Car took a really bad toll. Bannerghatta national park area didn’t provide any sightings. We drove towards Ragihalli on Akekal road. The national park area is known to provide wonderful sightings like that of Valley school, but around 2pm there were hardly any activity. Parked the car in a place where we heard some chirps, and ventured out on a pathway which led to a pond. There were bird chrips but nothing to be seen except for few Bulbuls. There we saw Elephant dung at quite a few places and knew that this was not a safe place to stick for long. The time was still 2:45pm. We didn’t know where to go for more sightings. 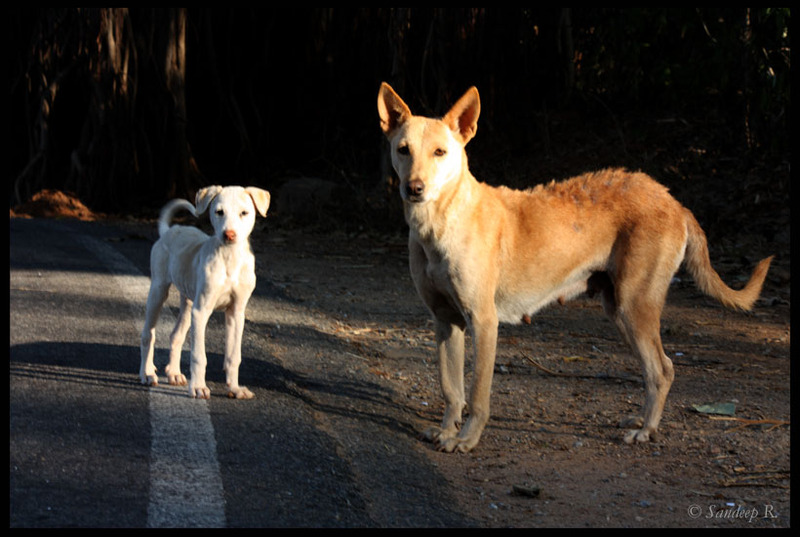 Ragihalli road was a disappointment. We stood at 69 species. Nearest lake, Madiwala lake would an hour’s drive. Should we go to the lake or Bannerghatta zoo herbivorous enclosure was the dilemma. We went to Madiwala lake, and we weren’t disappointed. Readily we spotted a Large Pied Wagtail. We spotted a aquatic birds, Garganey, Lesser Whistling Duck, and Northern Shovler. We also spotted a Grey Heron, and a Marsh Harrier. At 4pm we started driving to the city, to report at Royal Orchid at Manipal Center. We visited Cubbon Park for half an hour to see if we could spot any bird that was not on our list already, but no such luck on a crowed Sunday evening. Reached Royal Orchid at 5:30pm to report our sightings of the day, and it stood at mere 78 species. The team sighting 145 species took the 1st place, followed by 137 species for 2nd place, and 133 species for 3rd place. The catch of the day was Blue-bearded Bee Eater. I had heard a lot, and I have been waiting long time for this (less than a year of course, otherwise i’d have written about BBR 2008). The time has finally come. HSBC Bangalore Bird Race 2009 is on 18th January 2009, and i am excited to be participate in my first bird race, the 3rd edition of HSBC bird race in Bangalore. I know many of you are wondering what’s a bird race. Bird race is not an event where birds are bred, and raced (not sure if such race exists, though it happens with grey hounds). Bird Race is a fun even where teams of 4 go bird watching from dawn to dusk on the given day, making a record of all the birds spotted. The team with most sightings wins. I had to go with individual registration, which closed on January 11th, since i couldn’t manage to form a team with people i already know. Nevertheless, this gives a good opportunity to meet new people. A veteran of 2 bird races, Deepak, is the captain of team Pittas, of which JP Pandith, Kashyap and yours truly are part of. Haven’t planned out the spots to be covered yet. Deepak prefers North Bangalore, Nandi hill side, but i prefer Valley school and BNP. Will reach a consensus and hopefully decide by today evening, taking inputs from other two teammates. Given my limited knowledge, i would be glad to correctly identify birds i am already familiar with, hope to learn more about birds and of course take few good images. Expecting a fun-day on Sunday. Based on Vikas Swarup‘s Q&A, Slumdog Millionaire is a masterpiece created by director Danny Boyle with lesser known actors in lead roles. The movie, set around Mumbai slums, revolves around a ‘slumdog’ who wins the top prize by answering all the questions right in the game show Who wants to be a millionaire? Jamal Malik, played by Dev Patel, who works as a chaiwala in a call center answers all the questions right and the suspicious host, Anil Kapoor, who also runs the show, asks for a probe. Mumbai cops, lay their hands on him and the story evovles as Jamal explains how he knew the answers to the questions asked. The story, though not extraordinary with drama, fantasy and love, has been well handled to keep you interested. The mesmerizing city of Mumbai has be beautifully captured even though it mostly showcases slums. The story could have given rise to a perfect masala bollywood movie, but Boyle has made it an interesting flick. The screenplay gives a subtle touch of documentary style of film making, nicely portrayed in a commercial movie story. Characters are developed wonderfully. Kid Jamal, played by Ayush Mahesh Khedekar, and middle Jamal, played by Tanay Chheda have got meaning ful screen presence. Jamal’s brother, Salim, also portrayed as a trio, makes an impressive character. Azharuddin Mohammed Ismail, playing the youngest Salim needs a special mention. Jamal’s love interest, Lathika, is played by Frieda Pinto, Tanvi Ganesh and Rubiana Ali. The adoloscent Lathika, played by Tanvi Ganesh, known as Cherry in Pila street leaves a lasting impression. All the actors have done justice to their role. Finally, background score and music. AR Rahman has given the soul to the movie, especially in the sequence where slum kids playing cricket in a private place are chased away by cops. Rahman’s composition is mesmerizing, although you can readily identify it to sound Rahmanic at times. Definitely worth a watch, and a lesson to bollywood filmmakers as how to make a movie out of a masala story in a different way. I go with 4/5 stars for the movie and wish it wins an academy award. What’s a super telephoto lens? Lenses with focal length greater than or equal to 300mm. Most important aspect to consider before you buy any gear is to decide what do you want to photograph. This might seem trivial, but it is the most important thing going forward. This is as important as deciding to shoot on DSLR up from a P&S. Why do you want to buy a super telephoto lens? Candid shots of people, Bird/Wildlife photography, sports photography or something else? When you say focal length is important, ask yourself why is it important? Can’t you do with a 70-300mm (Nikon/Canon/Sigma) standard telephoto or 70-200mm f/4L or f/2.8L lenses? If you take a few steps towards the subject, your range automatically increases. Ok, once you have a concrete reason to go for a longer range lens, we’ll proceed. Lets assume, we have a standard telephoto lens of about 300mm max focal length, and a 1.6 crop sensor camera. Why is 70-300mm/55-250mm lens not enough? 1. Can’t approach the small birds close enough to capture them, filling the frame (forget full frame!). 2. Actions are happening at a distance from where you can photograph (sporting events). 2. Quality of images, cropped, are not as the best. 3. Not fast enough. Whines to focus on the small bird, even if i have Center point focus. So, what options do i have? Say, we are interested in Wildlife photography. (If you want to shoot candid portraits 70-300mm is sufficient, if you think it’s not enough, you got to work on your technique. Mind you these birds won’t fly :P). Super telephotos are mostly used in wildlife and bird photography, where photographer is at a safe distance from the subject. Super telephoto lenses are also used in Sports photography, but these are very fast lenses like 400mm f/2.8L, which costs nearly $7000 and hence we’ll exclude sports photography from the discussion. For mammals, you need shorter focal length whereas for birds you need the longest focal length one can get. Here, the decision of what i want to photograph comes handy. If you want to click birds predominantly, you ignore the shorter focal length and buy a prime (use another lens for shooting mammals) or buy a good zoom lens covering the entire range. Termed as the best wildlife lens. Covers a good range and has IS. 400mm is when focus is at infinity. Gives about 385mm under normal shooting circumstances. Advantages: Very good image quality. Good build. “L series” lens. Flexibility of zoom from 100 to 400mm. Perfect for wildlife, especially mammals. Disadvantages: The push pull zoom (if you aren’t comfortable). Probably little more heavier than 400mm f/5.6 Prime. No other disadvantage as such, but if you want to photograph birds, the reach of this lens isn’t good enough. With Tele Converters (TCs) you’ll lose Auto Focus, unless you are on pro bodies (1D MK-III). Taping pins only improves the situation slightly. No other lens matches the range of ‘Bigma’. EX lens, Sigma’s “L series”. Good for mammals and birds, provides excellent range and good image quality. Advantages: Huge range, good IQ when used properly. Disadvantages: Bulky, need to get used to it before you get good images out of it, tripod necessary (only adding to the weight), not a very fast lens. Actual reach is little under 500mm. Next generation of Bigma, BigmOS comes with OS which actually works albeit little grumpy. Good range. No EX tag, but they say IQ is as good as the ones with EX. Advantages: Light weight (can shoot hand held). OS comes in handy, and it works too! IQ pretty good. Disadvantages: Makes little noise with OS. As with all zoom lenses, actual range is under 500mm, about 460mm. Heavier than Canon 100-400. Image quality at 500mm not very impressive, Canon 100-400 at 400mm extrapolated to 500mm gives better IQ. Also, aperture is 6.3 at 500mm. But Have a look here for IQ before you write off this lens. An “L series prime”, but without IS. Advantages: Excellent “L series” image quality. Perfect lens for Birds in flight and focuses really fast. 400mm actually gives 400mm. Disadvantage: You’ll need another lens to cover the range up to 400mm, especially for photographing big mammals. If you have a 70-300mm or 70-200, this lens could be a good addition. Similar problem as 100-400 with TCs, may be slightly better. Monopod is handy, to make up for the loss of IS. Another L series prime, but comes with IS. Faster than all other lenses above when used at 300mm. Add a 1.4x TC, giving you 420mm at f/5.6 with IS. Advantages: L series prime quality. 420mm reach with IS. AF works well. Disadvantages: Range, as with 400mm f/5.6L, need another lens for covering up the focal length range. The price for the combo is little more than you’d pay for others. Price tag: about $1050 + $250 for Canon EF 1.4x II TC, total $1300. 1. I have listed only lenses under $1500. 2. I have listed only Canon lenses, as i am more familiar with Canon. Nikon too has similar lenses at similar price tag (Like 80-400mm instead of 100-400). Exception is Nikon 200-400 f/4G VR, which doesn’t have an equivalent in Canon, and is in a different league altogether at $5000+ a piece. 3. I’m researching for an upgrade and this post is to make it easier for amateurs in the same boat. I still am not sure whether to buy Canon 400mm f/5.6L prime or Sigma 150-500mm OS. This compilation and the prices are on the day of the article written. And are subject to change.